Feefo, the world’s most trusted ratings and reviews platform, has awarded Synergy Automotive a 5 Star rating for exceptional customer experience – for the fourth year in a row. The leading vehicle leasing and finance credit broker clinched the prestigious Gold Trusted Service Award from the global independent feedback engine after receiving over 3,400 client reviews for both customer experience and product across 2014-2018. The accolade – an independent seal of excellence – acknowledges how customers value the first class customer experience which the growing Harrogate business consistently delivers. Synergy’s passion and commitment to customer service is also reinforced by the Leasing Broker Federation crowning the company ‘Best Medium Leasing Broker Customer Service’ and ‘Best Medium Leasing Broker’ across 2017-2018. Paul Parkinson, MD of Synergy Automotive, said: “Being awarded the Feefo globally respected gold standard for four consecutive years is a milestone in our most successful year to date – and is attributable to our team’s hard work and dedication. 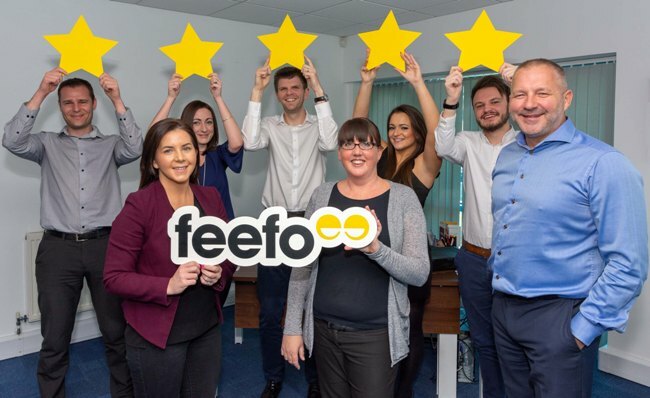 Andrew Mabbutt, CEO at Feefo, said: “The Trusted Service award has always been about recognising those companies that go the extra mile. Once again, we have seen many incredible businesses including Synergy Automotive using Feefo to its full potential, to provide truly memorable experiences for their customers – and rightly being awarded with our most prestigious accreditation. Additional highlights this year include Synergy named as the preferred vehicle leasing, contract hire and rental partner to Welcome to Yorkshire, providing two support vehicles for the Yorkshire Bank Bike Libraries Scheme, the highly successful Tour de Yorkshire 2018 and additional key Welcome to Yorkshire events.